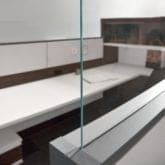 It is a group of panels with simple, linear and modular lines. Thanks to its versatility and flexibility, Te08 can be used either to divide rooms or to organize individual or combined work spaces. 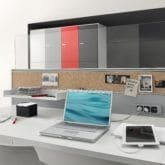 The TE08 partition, through its 4 different heights, responds to variable workstation separation needs. 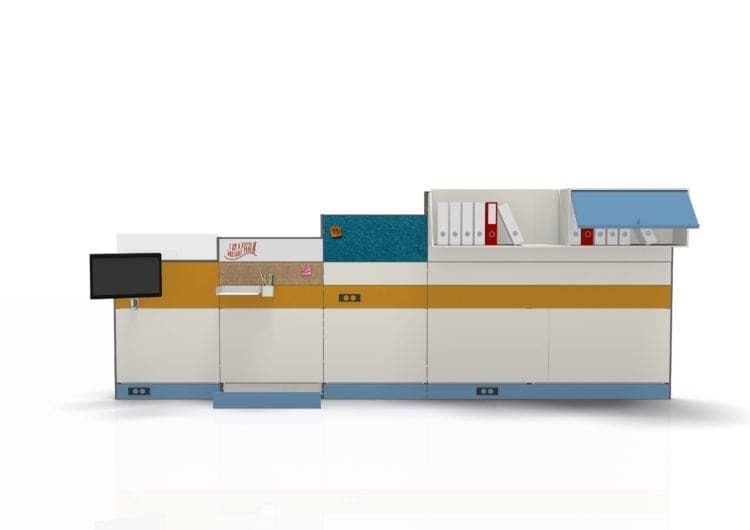 Te08 also represents a fundamental workstation wiring element, and allows customization by using a rich range of accessories such as: paper or general purpose trays, and sound-absorbing, writing or pin boards. – Possibility to fix glass screen H.200 mm on the partition’s trim. – Sockets can be located at client’s discretion. – Skirting accessible for cable inspection. – Panels can be fitted with accessory bar and monitor arm brackets. For the H. 162 cm model, overhead storage and shelves are available. – Adjustable feet 0-50 mm. – 2, 3 or 4 way 90° connections. Structure Horizontal bars and vertical uprights are made in metal plate of 1,5mm thickness, bended and laser cutted. Bars and uprights are connected with mechanical coupling without screws. All the structure is painted with epoxide varnish Alluminium finishing. 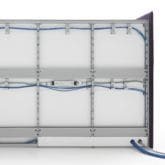 Wire management The partition frame allows a space of 50 mm inside which it is possible to run power and data cables. Skirtings are accessible at any time to access the wiring. Floor trays installed between the upright work as containment for cables. Cable access can be done from raised floors through floor trays, from skirting panels through grommet or through the side through opening on the vertical trim.